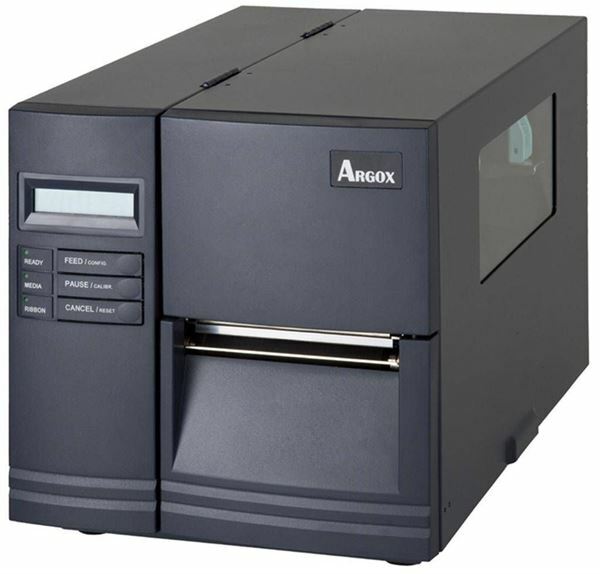 The X-3200 industrial barcode printer features 300dpi printing for high quality text and graphics on fabric labels, safety labels and labels for small items such as jewelry. 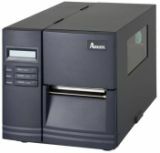 The heavy duty is capable of 5ips print speed using its 32-bit RISC microprocessor. The 8MB Flash and 16MB DRAM onboard memory facilitates high quality printing. An internal RTC lets you print time and dates on labels. RS-232, parallel, and USB interfaces allow easy plug-and-play integration with your current system. For stand-alone operation the X-3200 has a standard PS/2 interface for connecting an input device such as a keyboard or scanner, as well as a multilingual LCD display for convenient installation, configuration, and operation. The X-3200 provides outstanding value as it delivers industrial strength high quality printing for a wide range of labels.